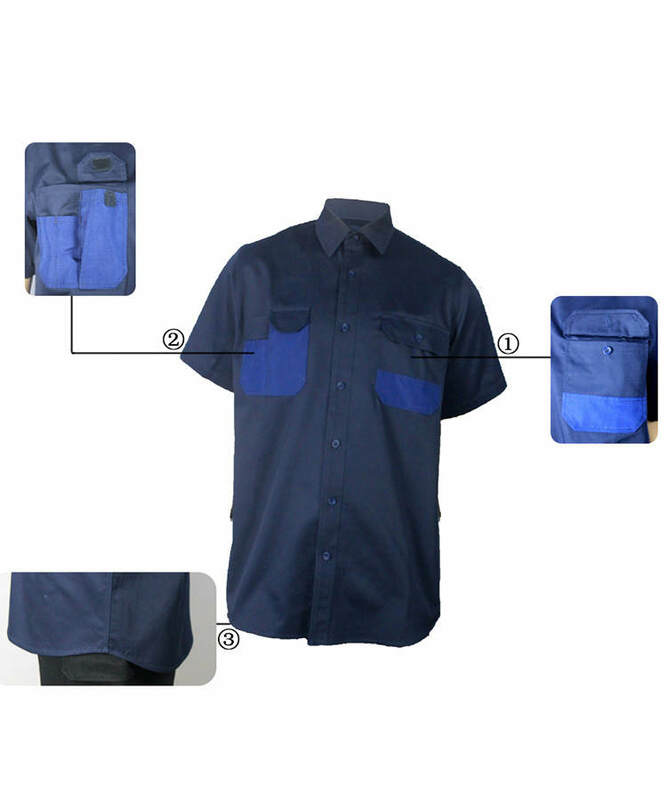 This water repellent short sleeve shirt made of 150gsm 70% polyester 30% cotton water repellent fabric, and can meet AATCC 22, ISO 4920 and other standards. This water repellent short sleeve shirt when meeting the water not inadhesion, it has the propriety of waterproof permeate and water proof press . 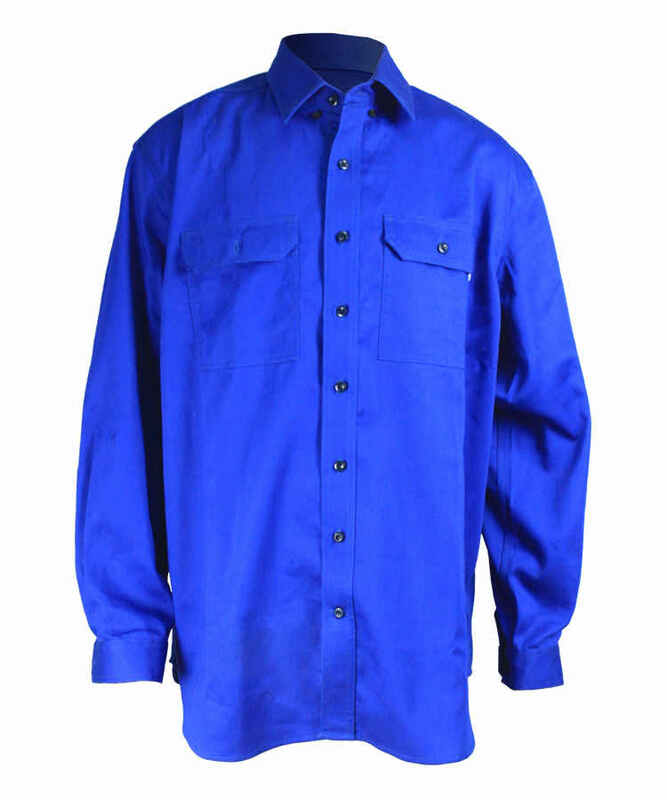 The water repellent short sleeve shirt strength is high, durable, breathable, can protect workers at chemical, metallurgy, electroplate, printing and dyeing, paper making and other industries. 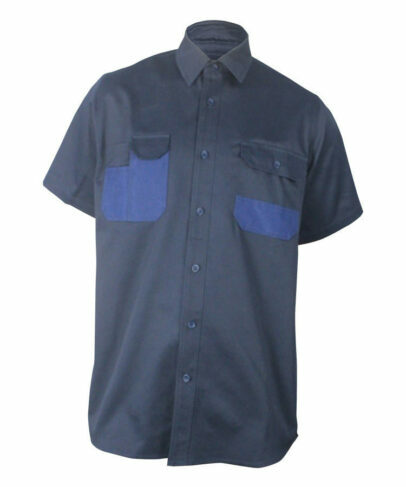 And the water repellent short sleeve shirt is skin friendly. One patch pocket with flap on the wearer’s front left chest, closure with four holes button. 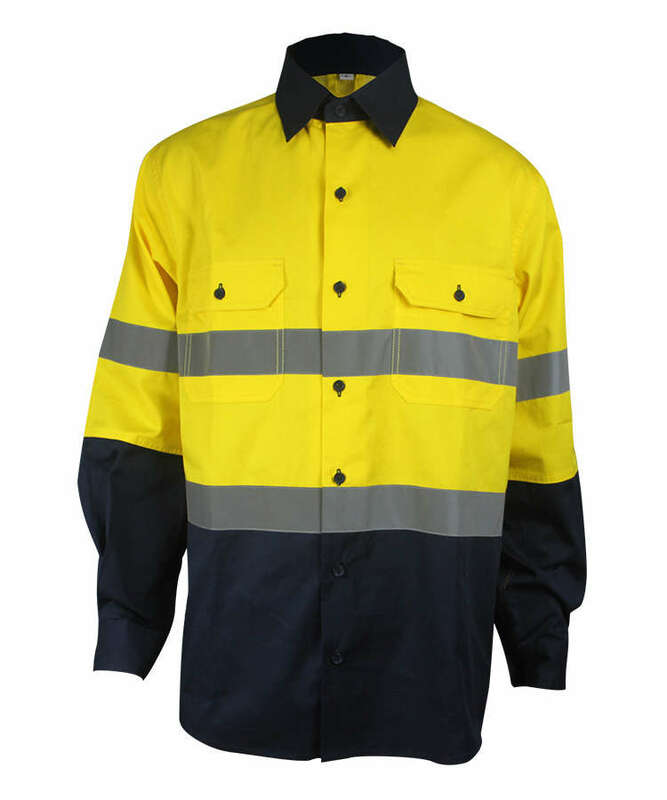 One 3-in-1 patch pocket on the front right chest, contrast color fabric is Ripstop abrasion resistance type. The small bellow pocket on the patch pocket is for putting the cellphone, closure with Velcro. 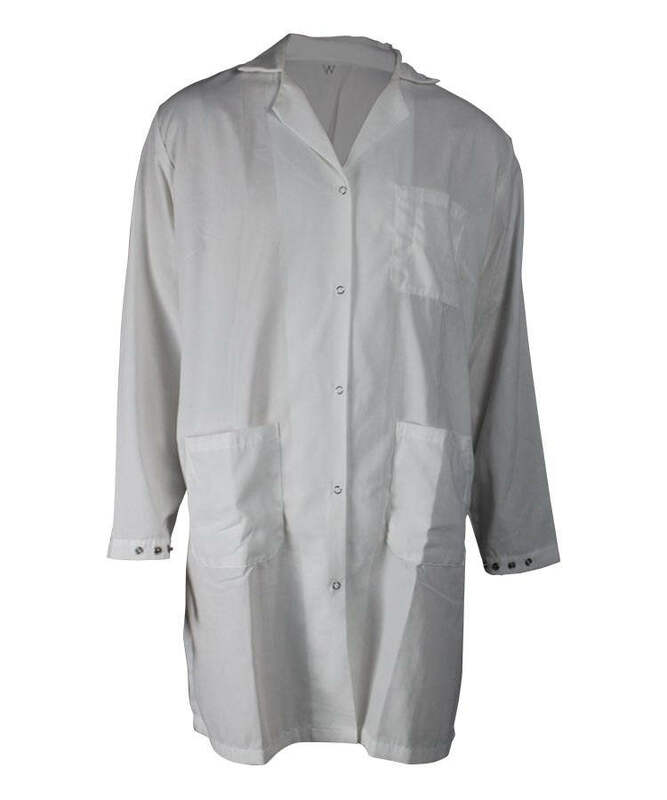 Front and back bottom hem are circular pendulum type, much fashionable. Double layer for the top half of the back Yoke, 2 visible sewing lines for the joint part. 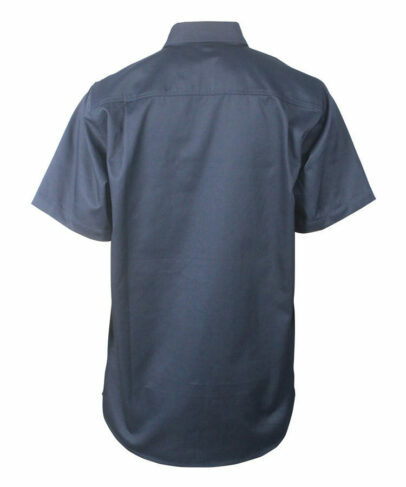 Natural hemming for short sleeve. 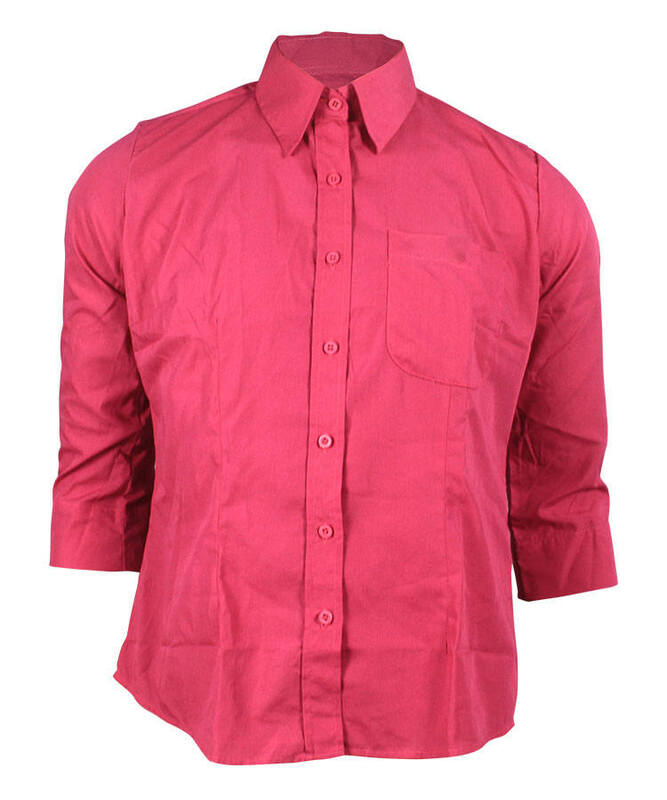 Shirt collar, placket closed with four holes button.